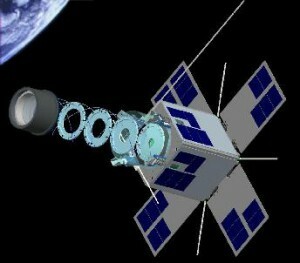 Pico-satellite for Remote-sensing and Innovative Space Missions. The University of Tokyo launched On 23.01.2009 at 03:54 UTC an H-IIA F15 rocket from Tanegashima Space Center in Japan. Main payload GOSAT (Ibuki), was the world’s first satellite that will study climate change. As piggyback payload were six other satellites on board. At 04:43 UTC PRISM was separated as the last satellite. CW is the default mode of PRISM, the packet downlink is only active above the Japanese command station. The CW telemetry consists of 14 frames.